On October 1, 2017, the Nevada’s Pregnant Workers Fairness Act (NPWFA) went into effect. The NPWFA expanded the scope of protections provided to female employees under state law. Specifically, the NPWFA addresses conditions of female employees related to pregnancy, childbirth, or related medical conditions. The NPWFA generally applies to Nevada employers with 15 or more workers. Contractor employers, licensed under NRS Chapter 624, are not subject to some of the NPWFA mandates. There are several protections under the NPWFA that differ from the federal law. Specifically, the NPWFA provides more protections than current federal laws. Most are familiar with the Pregnancy Discrimination Act (PDA). Generally, however, the PDA does not mandate that employers provide a reasonable accommodation if they do not provide it for the majority of their non-pregnant employees. On the other hand, the Americans with Disabilities Act (ADA) does not come into play in this specific scenario because pregnancy is not defined as a disability under the law. In other words, the NPFWA provides protections regardless of whether the pregnant employee is deemed to have a pregnancy-related disability. The standards for reasonable accommodations, however, are similar to those under the ADA. Providing help with manual labor if this type of labor is incidental to the employee’s primary duties. Notably, an employer subject to the NPWFA is not required to create a new position it would not have otherwise just to accommodate an employee under the law. Unless, however, the employer would be required to create the position to accommodate another class of employees. Likewise, a Nevada employer is not mandated to transfer or discharge a more senior employee or promote an otherwise unqualified employee under NPWFA unless the employer would be required to take such action with another class of employees for accommodation purposes. Employers are required to provide their workers with notice of the NPWFA and must post this notice in a conspicuous place in an area that is accessible to workers. 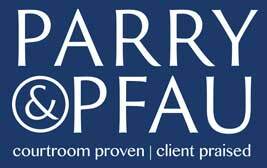 If you or someone you know has questions about the NPWFA, or any other legal question, contact the knowledgeable lawyers at Parry & Pfau today. Nevada’s legislature was busy in 2017, wrapping up their legislative session in June with the passage of more than a dozen significant employment-related bills. Newer PostWhat are Self-Defense Laws in Nevada? Older PostIs it Legal to Have an Unharnessed Animal as a Passenger?